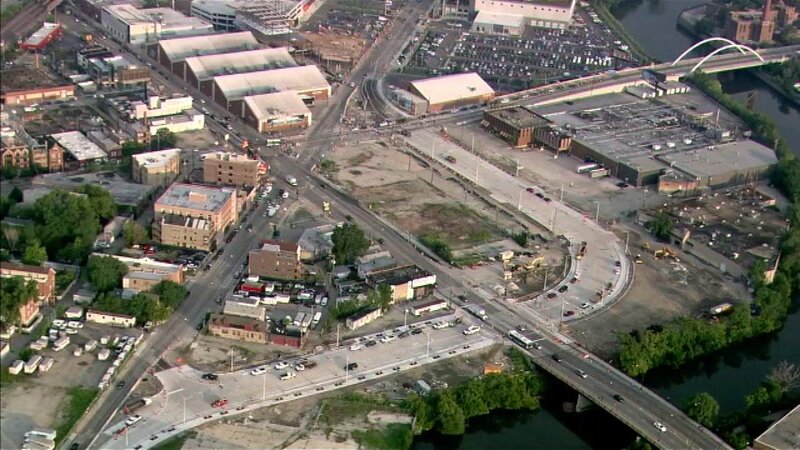 CHICAGO (WLS) -- A realigned section of Elston, Damen and Fullerton has opened, eliminating tie-ups that plagued the six-way intersection for years, Chicago's mayor said. With two through-lanes for drivers, protected bike lanes and synchronized traffic signals, residents are already experiencing less congestion and improved safety on what was formerly known as one of Chicago's historically most crash-prone intersections, Mayor Rahm Emanuel's office said in a news relase. The opening of the new roadway represents a major milestone for the project that will be continuing through spring. Additional work will include the installation of permanent traffic signals at all intersections, new street lighting on Fullerton and Damen, as well as other improvements, the release said. A new section of Elston Avenue opened in August after more than a year of construction at the busy crossroads. That section crosses Fullerton about a block east of the existing six-way intersection, and crosses Damen north of the current intersection. The two-block stretch of old Elston Avenue south of Fullerton was renamed Elston Court, according to CDOT. Under the new configuration, drivers are allowed to turn right from eastbound Fullerton onto Elston Court, and vehicles from northbound Elston Court south of Fullerton are only permitted to turn right on Fullerton. The new stretch of Elston features two lanes in either direction, plus a center turn lane and concrete-protected bike lanes on either side. Damen was widened to provide improved bike accommodations, and the north sidewalk along Fullerton was widened. All streets at the intersection will also be resurfaced.